Jordan's Montreal show has moved from Metropolis to l'Astral. The Boston Globe posted some snippets from the first few chapters of “New Kids on the Block: Five Brothers and a Million Sisters” in the Sunday Boston Globe Magazine. AS THE GUYS were immersed in high school, over in Roxbury, producer Larry Johnson — more widely known as Maurice Starr — had just been ousted from pop group New Edition and had turned his attention to other projects. One of his ideas was to work with a group of kids like New Edition, only this time he envisioned a white band. In an effort to identify just the right kids, Maurice called in talent agent Mary Alford, who was previously involved with R & B acts such as Rick James. In July 1984, then 14-year-old Donnie had caught the attention of Mary through his frequent performances around Dorchester. She persuaded him to audition for Maurice. AFTER PERFORMING for Maurice, Donnie and his brother Mark were immediately asked to join, while Donnie’s two friends were dismissed. And, thus, the music group Nynuk (a meaningless name Maurice pulled out of thin air) was officially born. Though the Wahlberg brothers started taking singing lessons at the house of Soni Jonzun, one of Maurice’s brothers, and recording songs, it wasn’t exactly the most organized endeavor. Maurice slipped in and out of the picture. Donnie remembers: “We’d go every weekend to Maurice’s house, and he would never show up. [Maurice] was just out screwing around playing basketball.” In time, Mark started to drift away. Maurice and Donnie pressed forward, writing and recording songs. After laying down four tracks, one day Maurice turned to Donnie and said, “You gotta find some other guys now.” With this, Donnie began the process of rebuilding, using his schoolmates and neighborhood circle as a talent pool. “PLEASE DON’T GO GIRL” was released as the lead single to the group’s second album, Hangin’ Tough, on April 16, 1988. The song was distributed to black stations, utilizing the same marketing strategy put in place for the 1986 debut album, New Kids on the Block, which reflected the band’s new name. In conjunction with the single, the band recorded a low-budget music video, which was released to BET (Black Entertainment Television). The video featured a very young-looking Joe, with the four other guys in tow, holding a yellow flower and imploring a significantly older woman not to leave him. The video was recorded on a frigid winter day, which is apparent by the group’s red faces. “It was downright freezing that day; it was really bad,” Jordan says. “That video was so whack. But you gotta start somewhere.” Maurice fronted the $9,000 needed to film the video — a lot of money for him to come up with. The Boston Herald has posted a review/article about “New Kids on the Block: Five Brothers and a Million Sisters” in today's issue. 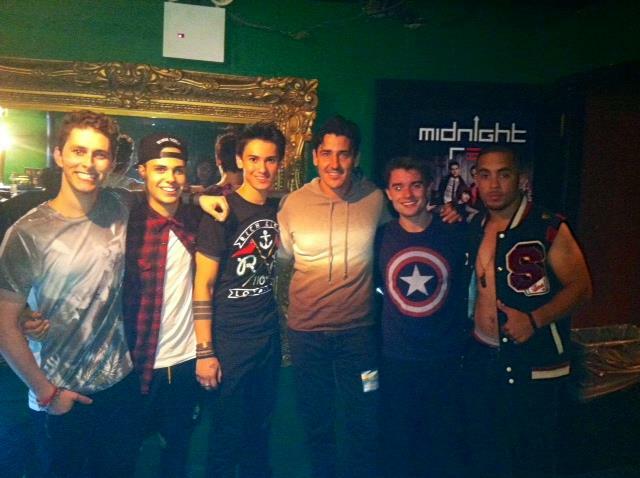 There are fans, and then there are New Kids on the Block fans. Allston-based author Nikki Van Noy chronicles the rise, fall and rebirth of the Boston-raised boy band and the support of their loyal followers in the authorized biography “New Kids on the Block: Five Brothers and a Million Sisters” -(Simon & Schuster; $25). Van Noy, 34, was among the throngs of adolescent girls pining for the band in the late ’80s. But don’t look for any sordid tales involving groupies in this book. Neither the guys or Van Noy go there. Van Noy spent a year and half interviewing each guy one-on-one, as well as their parents. “There wasn’t a publicist around. It was me and whatever guy I was talking to at the time. I can’t tell you how refreshingly open and honest they were. They blew everyone else I ever interviewed out of the water,” Van Noy said. The book touches on dark topics, such as Jonathan Knight’s struggles with anxiety and depression and Jordan Knight’s battle with booze, but doesn’t linger there. Donnie will be on "Watch What Happens Live" on Bravo this upcoming Tuesday, October 2. It airs at 11PM EST. Check out the show's website here. Here is the complete interview Donnie did on the Rachael Ray Show that aired today. Thanks to yikes77 for uploading! Jordan talked to Chum FM in Toronto this morning. In the interview he said he will be going to the "Back in the Day Bash" with Corey Hart at Masonic Temple tonight. Donnie talks about having to shave his mustache for Blue Bloods, his first celebrity crush, a car he gave to his brother Mark, and what is the craziest thing he did to get a woman's attention. Glamour recently interviewed Donnie and other cast members of Blue Bloods. Below is Donnie's interview. Click here to read the rest of the cast's interviews and for some behind the scenes photos from the set. Donnie Wahlberg: I don’t know. I think every now and again, every actor thinks they can play any role, and the smart actors are honest enough to know that they can't. My entire body of work as an actor has prepared me for this role, and this is one of those times where everything was aligned perfectly and I was the right guy in the right place with the right resume with the right experience and the right passion for this gig. It may seem hard, and it may look hard, and I’m sure there are times when I’ve done 18-hour days in cold New York City where I’m like, ‘Damn, this is hard,’ but in all sincerity, it's really easy. And I don't mean that to make light of it, I just really think that this role was meant to be mine. Jordan will be doing an interview this morning on CHUM FM around 7:25AM this morning. Listen online here. Donnie will be on Rachael Ray today. Check your local listings for time and channel. The season premiere of Blue Bloods is tonight at 10/9c on CBS! Remember to send your book preorder confirmations to nkotbpreorder@gmail.com by tonight. One random entry will get a chance to video chat with two of the New Kids! Jordan did an interview with B101. He talks about Mark Wahlberg, his Canadian roots, his albums and more. Jordan did an interview with Moose 99.5. He talks about his solo tour, Jesse Labelle, the new NKOTB album, spending time in Canada and more. Jordan Knight talks about future plans for the New Kids and his solo shows in an interview with 98 The Beach. I'm Not Too Obsessed posted some photos of Jonathan and Kirstie out and about after the premiere of "Dancing with the Stars: All Stars Edition". Check them out here! New Kids are the topic of Mike Ryan's column on the Huffington Post. The NKOTB book has had so many pre-orders that a second printing has been ordered already! By the way, there will be a Kindle version available as well (Amazon price is $11.99). On Sale for Jordan's VIP Ottawa Dinner will be at 10am EST and Montreal Brunch will be at 11am EST this Saturday! The on-sale times for the others are coming next week. There will be a showing of Blue Bloods this Friday night Wahlburgers with prizes and giveaways. It is limited to 100 people. For more information or to get tickets go here. With almost three decades in the boy band spotlight, Jordan Knight has surfed the highs and weathered the lows that come with being a global pop icon. But while his greatest piece of advice for the latest wave of boy bands is "just have fun" the singer knows all too well how fun can spin out of control. Having been in the shoes of hysteria-inducing, young pin-ups like The Wanted and One Direction, at an age where alcohol and drug temptations are at their heights, the New Kids on the Block singer believes it's up to band members to look out for each other. "That's one of the great things about being in a band as opposed to a solo artist," he tells AOL Music Blog ahead of his upcoming solo tour. "For us it was good at that age because we had each other's backs. If one person started going crazy we'd pull them back. So what I would say to these new bands is watch out for your friends -- if they're getting too crazy be a good friend and pull them back to reality." The 42-year-old singer/songwriter recently spent time with The Wanted at Hershey's MixTape Festival, where the young Brits joined NKOTB on-stage to perform "Glad You Came." The experience brought back memories of Jordan's days bursting onto the scene as a teen heartthrob. "It's cool to see the new generation at it," he said. "It brings back the feelings I had when I started. Everything was fresh and new. You have the world at the palm of your hands. I get to relive that feeling through them. "And it's great to see a British band come here and the girls love them because they have accents and they're British!" While he believes it's just as difficult for today's "young whippersnappers" to navigate the music industry as it was for NKOTB, he says avenues like YouTube mean a lucky break can come cheaply and "at any moment." Of course, with that moment comes a whole new world of fame and fortune. For NKOTB, their late '80 explosion saw them topping the charts, plastering bedroom walls around the world and spawning cartoons, merchandise and record sales earning $850 million in 1990 alone. While the band weren't extravagant spenders, Jordan urges stars like Justin Bieber and One Direction -- who have come under fire for splashing out five-digit figures on cars for friends and girlfriends -- not to feel bad about wealth. "A lot of people feel guilty and want to give money away to friends, family and everybody. It's a sudden surge of power and everyone wants a piece, but don't let it define you -- and don't feel guilty about having it. Just be responsible. "And with everything else, just have fun. Be a boy until you need to be a man. Don't take it all too seriously... but don't throw it all away by getting too crazy." Jordan's words may be drops in an ocean of advice today's chart-toppers have been showered with, but the Boston native has firsthand experience with how life can fall apart after reaching the heights of fame. At 30 -- five years after NKOTB parted ways and shortly before the birth of his first son -- he stumbled into alcoholism while struggling to come to terms with adulthood. "They say a person conflicted is a person addicted. And I was definitely conflicted... between growing up and being responsible, and staying irresponsible," he says. "It started to become a real problem. I was drinking everyday. Alcohol makes you happy when you drink, but the rest of the time it ruins your life and makes you depressed. You become a slave to it and you stop being creative and thinking of other people. You become selfish." Relationships were damaged and it was six years before a painfully-dreadful hangover saw him wake up one day and go cold turkey to save himself -- and his family. "Most of the decision was because of my son. I didn't want him to see me in that state anymore. I said, 'No more. I can't do it. He's not going to see that growing up.'" Attending a few AA classes, most of Jordan's recovery involved reading about addiction and surrounding himself with sober people. "If you make a decision not to drink you have to deal with your life," he says. "You slowly get stronger and build emotional and mental muscles to live a good life. Those muscles get very weak when you have an addiction." Six years sober, he says he will always be "recovering," but hasn't fallen back on the bottle. And while NKOTB's 2008 reunion and life back on the road may frequently corner him with old temptations, he has no desire to drink. "When there's so much at stake it curbs your enthusiasm! I don't want anymore hangovers," he says. "I don't want to walk into the dressing room before a show and feel ashamed. "I open mini-bars at hotels, grab water and don't even think about the beer right in front of my face now. I never thought I'd be able to do that. "But I don't think there's anything wrong with drinking -- as long as you can control it." Looking back at almost 30 years in the limelight, he says sobriety has been the single biggest obstacle to getting to the "good and balanced" place he has reached personally and professionally. With another NKOTB album in the works as well as further solo plans, he now has two sons, with wife of eight years Evelyn, to keep him busy when he's not working. Eldest, Dante, is now a teenager -- there are no girlfriends yet, "although I haven't checked his text messages lately!" -- while Eric, five, has inherited Jordan's passion for music. 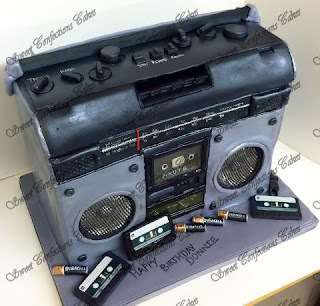 "He loves listening to me play the "Beverly Hills Cop" theme song. It's so random! He pulls out the keyboard and goes, 'Daddy, play the song!'" Asked about his proudest moment as a father he says everyday brings new milestones. "Today Eric drew a bunch of pictures and put them on every single door in the house. It was so artistic and creative. To think, 'What made him put them on every door?' It's cool to see that. "He doesn't have inhibitions. He feels free and happy and that makes me feel good." While Eric may be too young to fully understand his dad's fame just yet, it's what he hopes his sons learn from his journey when they're older which today's boy bands can perhaps take most heed from. "Hopefully they'll learn that you can be a normal person and still do this kind of stuff..." he says, pausing. "Hopefully I'm normal enough that they'll see that." Pre-Order NKOTB Book and win a video chat with two of the New Kids and more! If you pre-order "New Kids on the Block: Five Brothers and a Million Sisters" before 11:59 p.m. PST on Friday night and you email the verification of your pre-order to NKOTBpreorder@gmail.com you will be entered to win a video chat with two of the New Kids, plus a manuscript of the book signed by all five of the guys! If you have already pre-ordered it you are still eligible to win. Check out all the details here. You can also read chapter 1 of the book here! Also, tomorrow (9/25) only, you can pre-order a copy of the book at BarnesandNoble.com for only $13.75. Cast members from the TV show "Full House" reunited for an evening and they had some fun dancing and singing to New Kids on the Block songs. Andrea Barber tweeted "I just danced to three NKOTB songs in a row with @candacecbure and @JohnStamos. Life is complete!" and John Stamos posted this video of the girls singing to "Step by Step". There are only 3 more days left to get Jonathan into first place in the Bille's Celeb Charity Challenge. If Jonathan wins then he will receive10,000 Euros to give to Amnesty International. If he wins, one random voter will also get a chance to meet Jonathan when he is presented the check for his charity. Click here to vote! Jonathan was backstage at Midnight Red's show in Gramercy/NYC recently. Here is a photo from their Facebook page. According to a tweet from Jonathan ("JFK--->LAX + DWTS + KA = :)") it appears he went to LA to support Kirstie Alley on Dancing with the Stars All-Stars. Maybe we will be able to see Jonathan in the audience when it premieres tomorrow night at 8/7c on ABC. Here is a still image of Donnie on the Rachael Ray Show (which airs this Friday). VIP tickets for Jordan's shows in Canada are now on sale. Dorchester homey Donnie Wahlberg thinks despite the New England Patriots’ you-know-what-poor showing against the Arizona Cardinals last week, they’re bound for Super Bowl XLVII! And then there was that 16-0 regular season back in 2007-08 that we’d all rather forget. As for handicapping the Celtics’ upcoming season, Wahlberg’s bullish because of the New Kids the Green picked up in the draft, although he would have preferred seeing Ray Allen back on the parquet instead of in Miami. “It was tough to lose him, but he had to do what he had to do,” Donnie opined. “I think the young guys have the potential to be huge impact players. “Now, don’t even think of asking me about the Red Sox,” he warned. That the Morrissey family, a Brockton scrap metal-dealing brood, are kind of like the Wahlbergs of Dorchester. But Donnie Wahlberg, the executive producer of their new National Geographic Channel reality show “Boston Metal,” tells us “they fight better!” The “Blue Bloods” star said he met the scrappy clan through his brother, Bob, but at first he didn’t find their life compelling enough for reality TV. “After I got to know them, I couldn’t resist,” said the NKOTBer. The father and one of the sons are former mixed marital arts fighters, and daughter Kathleen doesn’t take any crap from the scrap peddlers. The show, which couldn’t compete with “Blue Bloods” of course, airs at 9 p.m. tonight. 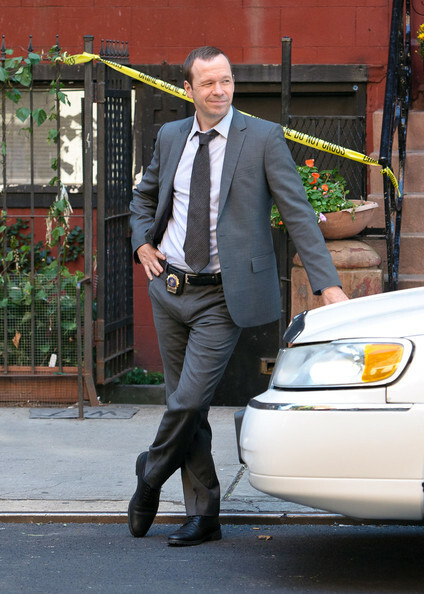 GettyImages posted some new video clips and images from the set of Blue Bloods. Donnie will be tweeting live during Blue Bloods next Friday. Blog Critics posted a review for the recent DVD release of "Blue Bloods: The Second Season". 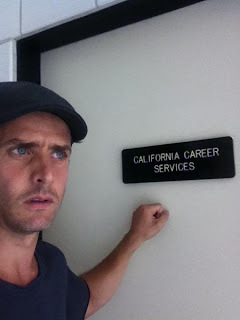 CTV in Canada is starting to film a new drama series called "Motive" in Vancouver this week and Joey McIntyre has been cast to be the a guest star in the first episode! The series set do debut in early 2013 on CTV. Here is the lastest info about Jordan's shows in Canada from jordanknight.com. Thank You to all the fans for your continued support!!! Jordan Knight Live and "Still" Unfinished is getting closer and closer by the day!! A couple of exciting announcements!!! -Early entrance for the Live and "Still" Unfinished Pre-Soundcheck Party where you can hang out and see Jordan warm up on stage and sing a few songs before the Show!! ***Please note that ALL VIP TICKETS are sold as an UPGRADE to your existing Seat or GA Ticket. In order to gain entrance to VIP, you MUST have a General Admission or Assigned Seat Ticket!! Just a VIP Ticket will NOT get you into the Show. You need BOTH!! Wishing everyone best of luck this Saturday with purchasing your VIP Upgrade Ticket!!! We are working hard on getting you all of the details for our upcoming Brunches and Dinners!! This will include Locations, Pricing, On-Sale Times and ALL other Info. Just know that most of the Brunches start around 10AM Local Time and Dinners start around 8PM Local Time. We will be sure to keep you posted just as soon as we are ready!! We are working on some cool new items to have available for ALL of our Upcoming Shows. We want to address some of the questions that have been sent to us regarding the Gold Circle Pre Sale. We understand that for our Pre Sale, Ticket Holders were unable to select a seat. While we know that can be frustrating, because of the arrangement with some of these venues, we felt it was more important for us to guarantee that we were able to sell Gold Circle seats to the fans directly before the Venues went on sale with their tickets. We also understand that some of the seats sold were not front row, but our Pre Sale was set up to guarantee we would have allotted Gold Circle Seats and because of the Venue arrangements, we were unable to take all of the inventory for just the first rows. The seats had to be divided up accordingly so that ALL FANS would get a fair shot at getting Tickets. We promise you that your seats and all seats or GA Tickets will be great and as always, the Show will be AMAZING!!! We look forward to hopefully seeing as many of you as possible on Tour, and again we really appreciate ALL of your support for Jordan and the Live and "Still" Unfinished Shows!!!! A cruise DVD will be aired on the Lido deck and each cruise attendee will get a copy of the DVD! The NKOTB concert will be indoors (in the ship's theater) and the day on Half Moon Cay will be "casual" with "no NKOTB event to line up for" but "NKOTB will be out there making sure nobody gets too crispy while having a blast with you". A chance to win a day/night in the "VIP Sleepover Suite" near the New Kids rooms. Check out the complete email here! Donnie taped an episode of Rachael Ray today. The show will air on Friday, September 28! It looks like Joey is planning on scheduling some solo shows soon! He wrote on Twitter "I'm working hard on the best Joe Show ever. And I'm counting on u guys to be there when it's out there!" Mixtape Festival shared a video showing highlights from the Mixtape Festival weekend. Summer MixTape Festival 2012 - sizzle from MixTape Festival on Vimeo. Here is Donnie's latest Twit Vid of him goofing around on the set of Blue Bloods. Jordan's opening act for his Canadian tour will be Jesse Labelle. Batting for Betty is raising money for Komen in honor of Danny's mom. They have an auction for Red Sox hat autographed by Donnie Wahlberg and a raffle with several prizes including a signed Celtics Adidas jacket by Danny Wood and more items autographed by Danny and other New Kids members. You can also sign up to play for Batting For Betty (on Sunday October 21, 2012 from 10am-3pm) here. The New York Daily News thinks Boston Metal is worth watching. 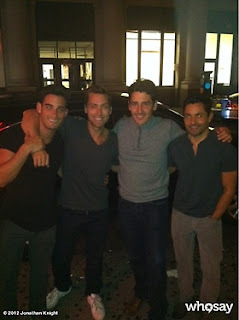 Jonathan got a chance to hang out with Lance Bass in New York recently. He is a photo he shared. 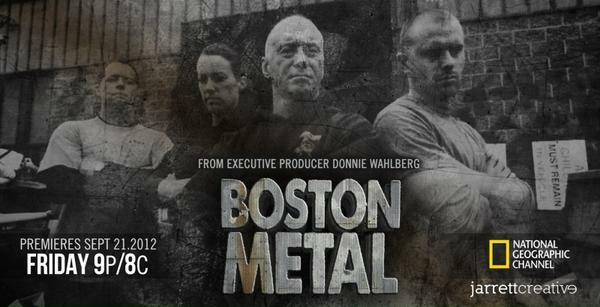 Here is a preview of "Boston Metal" which debuts on the National Geographic Channel on September 21. BOSTON METAL - PREMIERES FRIDAY, 9/21 at 9P/8C on NAT GEO from Jarrett Creative Group on Vimeo. The other TV series that Donnie is working on - "Boston Blue" - will premiere next year on TNT according to Club Metro. The show will follow the men and women of the Boston Police Department's gang unit. In case you missed the post earlier, Donnie has a new TV project in the works! Boston Metal will debut on the National Geographic Channel on September 21 at 9PM (Eastern). Check out their website here. This was Donnie's birthday cake at Mixtape Festival from Sweet Confections Cakes. Pre-sales for the 2013 NKOTB Cruise are tomorrow. Block Nation starts at noon EST and the pre-sale for past cruisers is at 1PM EST tomorrow You will need the password that they emailed to you. Click here for the link to purchase tickets for the NKOTB Cruise. Check out this blog by yikes77, this blog from ktsummer, and Rose Tour's FAQ section for more details. Have more questions about the New Kids cruise? 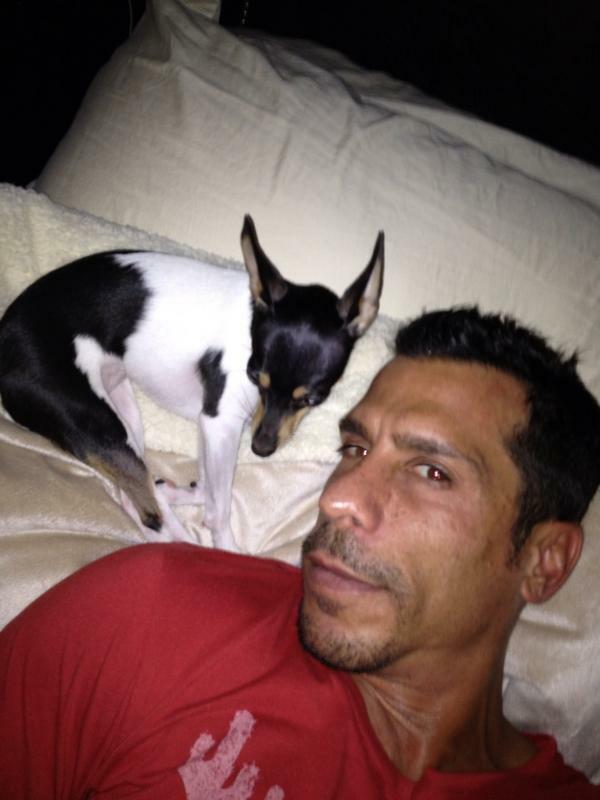 @nkotb will be answering some some questions on Twitter at 3PM PST today. Donnie Wahlberg will be the executive producer of a new show called "Boston Metal" on the National Geographic Channel. It debuts on Friday, September 21 at 9pm EST. The show is about a family who owns a scrap metal recycling yard. The wait is over! Here is the information for the upcoming 2013 NKOTB cruise! Update: it's official - here is a video sent out by NKOTB! NKOTB CRUISE 2013 from New Kids on the Block on Vimeo. For information about the ship Click here. For information on booking procedures, Click here. Presale for Block Nation and past cruisers begins THURSDAY SEPTEMBER 13 @ NOON EST — you will receive an e-mail with instructions how to book shortly. If you're not a member of Block Nation, sign up now. Public on sale begins FRIDAY SEPTEMBER 14, 2012 @ NOON EST. TO BOOK YOUR CABIN*, CLICK HERE. *No guests under age 16 will be permitted to sail! Joey McIntyre makes a brief appearance in this video raising awareness for Alzheimer's. You can get #ENDALZ clothing here. There are still 17 days to vote for Jonathan on the Bille Celebrity Challenge. He is currently in third place, but if we can get him to first place, he will win 10,000 Euros for Amnesty International. Click here to vote. Here are a couple video clips of Donnie filming Blue Bloods on location in New York from vronik2001. Pink is the new blog posted an article about the upcoming book about the New Kids on the Block. KoolKiwis had a chance to interview Jordan recently. They posted on Twitter that Jordan is thinking about doing an international revamped solo tour next year, but in the mean time he is coaching hockey during his time off. If you're outside the US, click here to watch (thanks BlancoDiddy). Jordan did a short interview with Saturday Night Online. He talks about whether or not he wants his kids to go into the music business, would he like to see an NSync reunion and more. Listen to his interview below. Thanks to JORDANs_VAgirl for letting me know about this interview!